Game description: Rayman's universe has fallen into a chaotic world of wicked powers, bizarre characters, and merciless combat. When Globox accidentally swallows the Lord of the Dark Lums, a fanatic army of trigger-happy Hoodlums wreaks total havoc to get their Lord back. 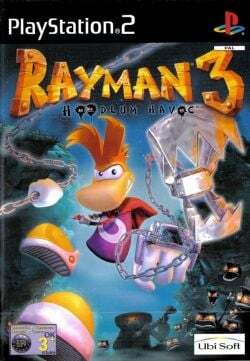 Rayman's only chance is to purge the Dark Lum Lord from the manic Globox, scour the lands for new powers, and battle with hordes of Hoodlum soldiers. Even without arms or legs, Rayman can still unleash an arsenal of special powers and fighting moves. Description: At higher than native resolutions, when you take a picture with the in-game camera (Select followed by R3) and save the picture, the picture appears entirely black. Workaround: Temporarily switch to Software mode while taking and saving pictures by pressing the F9 key. Or for a more permanent solution go to Config > Video (GS) > Plugin Settings, and set the Internal Resolution to "Native", or switch to Software mode by setting Renderer to any of the "(Software)" options. Description: When you save a Teensie(or other menber of the same race) for the first time, a dial with the Teensie symbol appears with many white and blue vertical bars in front of it. Workaround: Go to Config > Video (GS) > Plugin Settings, and set Renderer to "OpenGL (Hardware)" and set the Blending Unit Accuracy to "Basic" or higher. This page was last edited on 8 November 2018, at 06:45.